I have to be honest, the thoughts of wellness at work haven’t always been at the forefront of my mind. overlooked a concerning blindspot, emotional wellness. Last night I was watching the Oscars with my family - a tradition we have. We like to fill in our own ballots and then wager a bet on who will have the most correct winners on their ballot. Recently I was lucky to attend, and present at the EdTechTeam Napa Summit. This year's Napa Summit was surrounded around wellness, as well as educational technology for the classroom. It was such a different vibe, and the reception from people who attended was a positive one.So many participants commented on the wellness piece, saying that they enjoyed having it as a focus because so many educators don't necessarily prioritize it. How I Not Only Survived, but Thrived During My First Semester Teaching High School! As a new teacher, I have been sharing my learning journey from the Faculty to the Field since early 2016. I have contributed in many ways; whether it was through a series of blog posts on my website, podcast episodes with Que sera Sarah, Twitter chats, EdTechTeam Summits or even live radio shows such as #onEdMentors. I have continuously taken the risk in opening up my journey for people to read/listen and hopefully be inspired. This openness has allowed me to reflect, share my highs and lows, receive constructive feedback, have a dialogue with other educators as well as contribute to the world of teacher candidates and new teachers in an online space and beyond. I have spent far too much time away from blogging for BeWellEDU, but it's time for me to make this a priority again. This is my beautiful daughter, Ava. She is on the verge of so many changes in her life - she turns 13 in April, and she is in her first year of junior high. She makes me happy. She also inspired this post. Recently, she was texting with a boy and she showed me the texts, at one point she asked him, "What makes you happy?" He responded by saying that nobody had ever asked him that. I felt both proud, and sad. We all should have someone ask us that and mean it. I was proud that she was truly interested in the answer, and she made him feel good and likely put a smile on his face. He went on to respond with a list of things, and then asked her for her list. What a great little conversation for two 12 year olds. I have recently been thinking about small things a person can do to de-stress and/or meditate while at their desk. Many of us sit at a desk for prolonged periods of time for our work, and often it is hard to get out and get active midday when we are buried in a project or deadlines. I was searching online and found a few things that would be great and easy to do. Blogs these are taken from are credited at the end of this post. 1. The biggest and most important thing for me to remember while I work is to have good posture. When I first started working from home, I noticed by back was really achy after a few days. I realized that it was because of how I was sitting at my desk. I was slumping and curving my back. It is so important to be aware of your posture, so adjusting your chair and keyboard are two good ways to improve this. Today a colleague of mine posted this to our Slack chat. What a great read on being present, being authentic and remembering what is most important in your life. The question is posed in the beginning, "How can you learn to truly use the time you have, so that looking back each day you will be proud of who you were and how you lived?" So often people are living their life too quickly, buzzing about from activity to activity never really taking the time to consider the WHY behind decisions they are making. I would love for you to share! Email me charity@edtechteam.com to be a guest blogger and share a story! My name is Charity Helman. 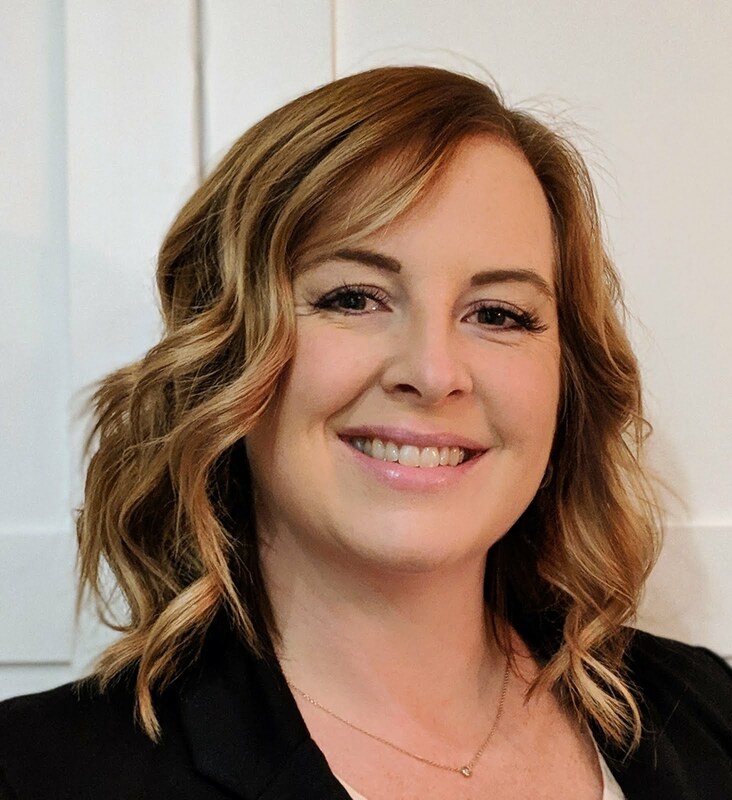 I am an educator with 15 years classroom experience, and now I am Event Coordinator for EdTechTeam Canada. I want to share about wellness for educators because I have friends and family who have suffered from mental illness, and I have lost a dear colleague to depression. Teacher burnout is a real thing, and as selfless people in a selfless profession, we need to learn it is okay to be selfish and worry about ourselves. It is my hope that through this blog, we can share and see that others go through what we do, and we are not alone. We have a tremendous amount of great days in education, but we also have those days where we are under a cloud - let's work together to help each other get through those days!